What appeared to be the keg storage shed at Dupont. *Some advice commonly given to inexperienced writers such as myself goes a little like the following “If you need to write and can’t get started, just start writing words” I have in the past used this technique as a bit of a brain dump onto the page but even this did not help me over-come my inability to write about what I learnt and what I loved in Belgium. I still could not get anything of sense to paper. As a last ditch effort I took it way back when I was a wee lad prior to all of my beer drinking and decided an acrostic poem might have the answers. I wrote the haiku for fun after I got on a roll. Very pretty and well worn in mashtun at Brouwerij Slaghmuylder who make Witkap-Pater beers. 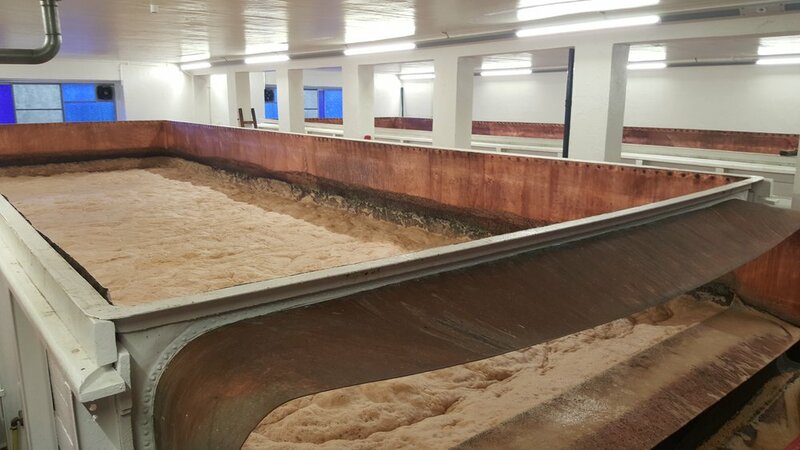 Copper open fermenters at Liefmans brewery. Because that is how they do it. Orval in an Orval glass with some Orval cheese on an Orval tray. Yes!!! I am pretty stoked about that!